Jenn & Dave are a unique couple. Every week the three of us get together and sweat together in their backyard wood burning sauna (more about this project). 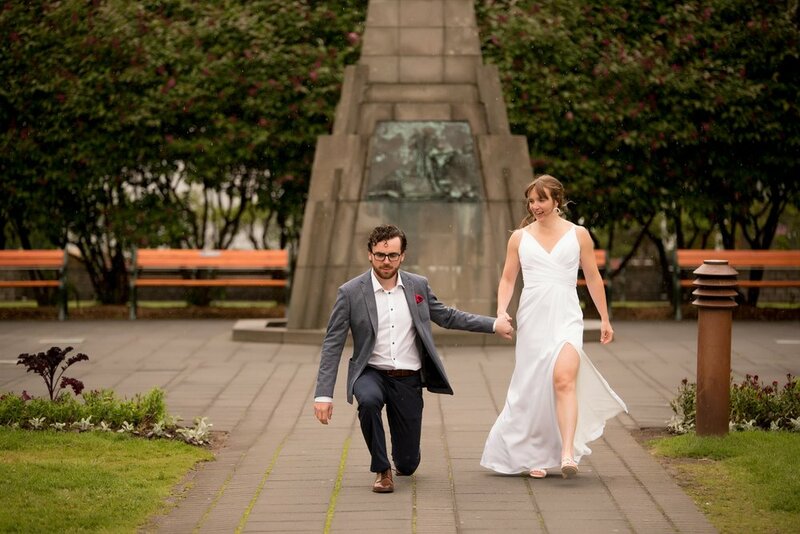 When they told me that they planned on having their wedding between the Eurasian and American tectonic plates, my first thought was: "Of course." Dave and Jenn first visited Iceland a few years prior. It was only natural that they would be drawn back to it's unique terrain and quirky European charm. 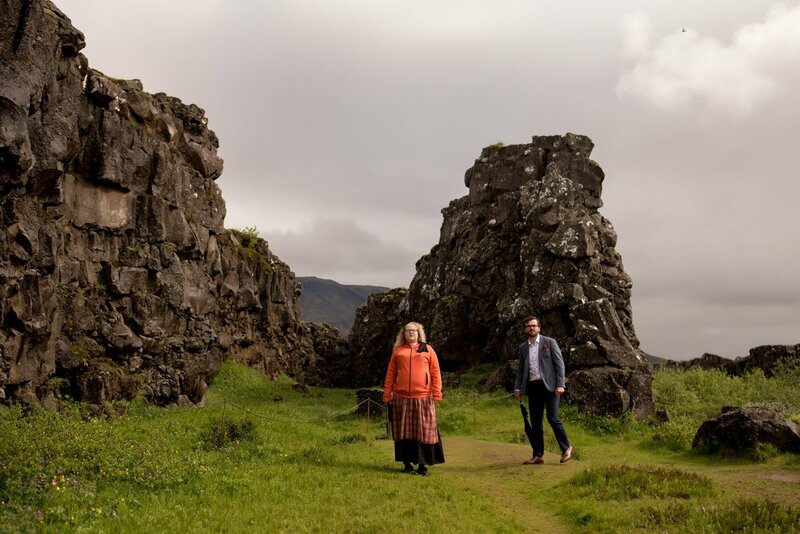 The national park Þingvellir (also a UNESCO World Heritage site) was established to preserve the unique landscape that features the Tectonic plates of Europe and America. They appear to be erupting from the Earth. It is other worldly to stand between them. But I digress... There is a popular saying in Iceland: "if you don't like the weather, just wait five minutes... It will change." For the ceremony of Jenn & Dave we were lucky, only after we wrapped the photo session and jumped onto the tour bus did it start to pour. Enough words. I love them, I loved being apart of their day. I love these photos.